Every spring the fields of Ireland come alive with fresh, bright colors. Greens, blues and golds are seen in counties around the island, and some have really dazzling displays such as the purple and gold of Wexford and the maroon and white in both Galway and Westmeath. Dublin’s blue on blue is known far and wide. Of course, we aren’t talking about spring flowers here but the Gaelic Athletic Association, the sports organization that gets everyone from preschoolers to adults out and about in the fresh air, come rain or shine, for a bit of exercise and local pride. The county colors show up on flags, shirts, hats and other Irish gifts. The GAA is often described as the backbone of rural Irish life, and in many areas it is the largest opportunity for youngsters to enjoy sport. It knits together communities as parents mingle on the sidelines during youth training sessions and kids build strong bonds with their teammates. It starts with the under-sixes giggling as they run after the ball together and keeps building right up to the All-Ireland Championships in football and hurling. That’s the level where the counties compete against each other. If you drive through rural Ireland’s major or minor roads, you’ll see house after house decorated in the team colors for different levels – and when it’s All-Ireland time, the finalist county colors will be flying all along the route from the home county to Dublin’s Croke Park for the play offs. Gaelic football is not to be confused with American football. It is similar to soccer. Hurling and football are not the only Gaelic games. The family of games also includes camogie, a women’s game similar to hurling, ladies’ football, handball and rounders, which is similar to baseball. Formed in 1884 partially to standardize rules of play for hurling, the Gaelic Athletic Association historically had a political tinge to it. For starters, it was designed to promote traditional Irish games, which in turn promoted a sense of national identity. Until 1971, players were forbidden to participate in and attend certain imported sports previously banned. In 1918, the British government declared that no GAA matches could be held without a special permit. The GAA leadership unanimously voted to ignore that and to expel any member who tried to get a permit. Taking it a step further, they organized matches throughout the country to be played on Sunday, August 4th 1918. The horror of the first Bloody Sunday came in 1920, when British troops opened fire on the crowds in Croke Park who came to watch a fundraising match between Dublin and Tipperary for the Irish Republican Prisoner’s Fund. Today, GAA teams can be found around the world, far beyond the 32 counties. There are teams in Australia, Canada and the USA as well as throughout Europe and Asia. There are even teams in Great Britain. 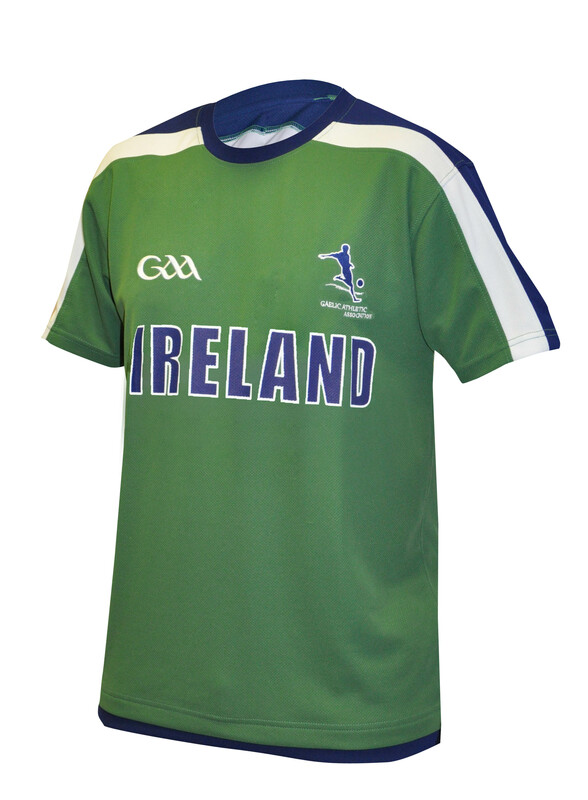 GAA and county color shirts and accessories are among the most popular Irish gifts for sports fans. And the organization remains true to its mission as an amateur.